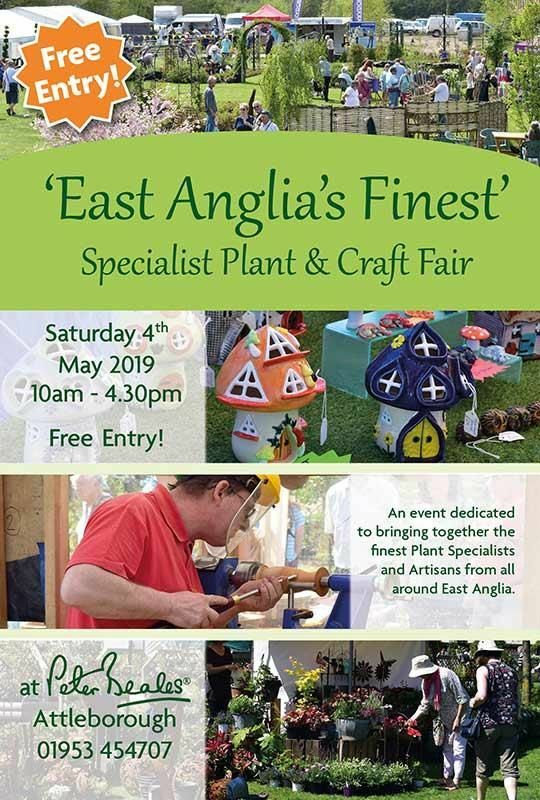 A plant and craft fair dedicated to bringing together the finest plant specialists and artisans from all around East Anglia. Situated within the beautiful rose gardens of Peter Beales Roses. Over 45 plant and craft stalls! PLUS the grand opening of the new ‘Rosarium’ restaurant* and plant sales area, including the launch of the Thorncroft Clematis collection at Peter Beales Garden Centre! FREE entry and Parking - No need to pre-book! *please note a reduced menu will be available during the event. Saturday 4th May 2019, 10am - 4.30pm. Click here for more information about the new Rosarium Resturant at Peter Beales Garden Centre.